Here are my current open dates for November: 2(AM), 7, 9, 14, 16, 17, 18, 21, 22, 23, 25, 26, 28, 29, 30. The fishing on Lake Lanier has again been excellent this past week! The water temperatures have stabilized this past week with the warm days and cool nights, but the water level continues to drop as the corp continues to pull water and we get no rain. We are in store for a continued excellent autumn of fishing as the lake continues to drop. I look for a great ditch bite later this fall, and until then, the topwater and swimbait bite is ON! We are starting to see some schooling activity early each morning around shallower humps both on the main lake and mouths of creeks. This is always fun and you should expect this to hang around for the next few weeks. When the schooling bite is slow, we have been heading out to main lake humps early in the morning and working a jig, shaky head, and drop shot for some solid fish. 8-12 feet seems to be the best depth. As the day progresses and the sun starts to get up, we have been working humps and long running points with brush. The fish have been relating to brush in 12-18 feet of water on most sunny days. The topwater and swimbait bite over the brush has really been awesome this week – make sure to check out the pictures above as well as on my FaceBook account – Jimbo On Lanier. 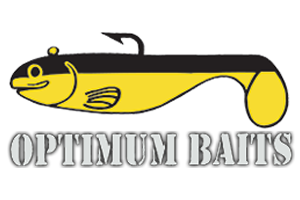 Our best topwater baits have been a chug bug, Vixen, Whopper Plopper, and a Pencil Popper. A Sebile has been our go-to swimbait. If you get no response on top, switch to a SuperSpin and Spro Jerkbait around and over the brush. Also a Picasso Swim Jig or Chatterbait slow-reeled over the brush has been a good option. For Fluorocarbon Line, I exclusively use Seaguar. It is simply the best Fluoro on the market. I especially like the Abrazx and Tatsu. 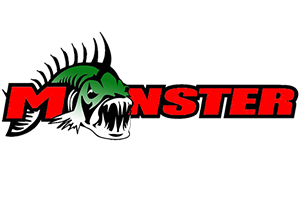 Absolutely the Best of the Best in fishing Line! The fish are really getting active and I am fired up for this fall!! I am now guiding in a Brand New Xpress Bass Boat – 21’3″ powered by a 250 Yamaha SHO and equipped with the latest Lowrance HDS Gen III units featuring 3D Structure Scan technology. Come take a ride in this beauty! Here are my current open dates for November: 2(AM), 7, 9, 14, 16, 17, 18, 21, 22, 23, 25, 26, 28, 29, 30. Give me a call and let’s get out and have some fun! If you have been waiting for the fall bite, its here, and its time to FISH! Thanks to all and May God Bless.